MOSCOW (Sputnik) - Tehran is planning to carry out a new satellite launch in the near future, IRNA reported on Wednesday, citing Iranian Defense Minister Brig. Gen. Amir Hatami, just one week after the country failed to launch its Payam satellite into orbit. Hatami specified that the satellite would be launched by the Safir expendable launch vehicle, which is capable of putting satellites into 260-kilometre (16-mile) orbits. Earlier in January, Rouhani said that two domestically made satellites would be launched "in the coming days" despite the US claims that this would violate a UN Security Council resolution, which deals mostly with Tehran's nuclear program. 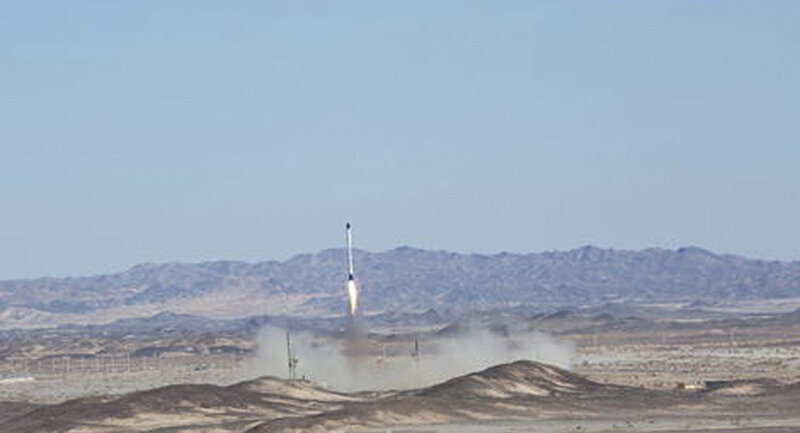 However, Iran's attempt to launch the Payam satellite on January 15 was unsuccessful because the third stage of the launch rocket failed to gain enough momentum to reach orbit. The following day, Rouhani said that Iran would carry out a new satellite launch in the coming months as part of its space program, having resolved the "minor" problems. Iran insists that the launches do not violate the UN Security Council resolutions and are part of the nation's space exploration program.